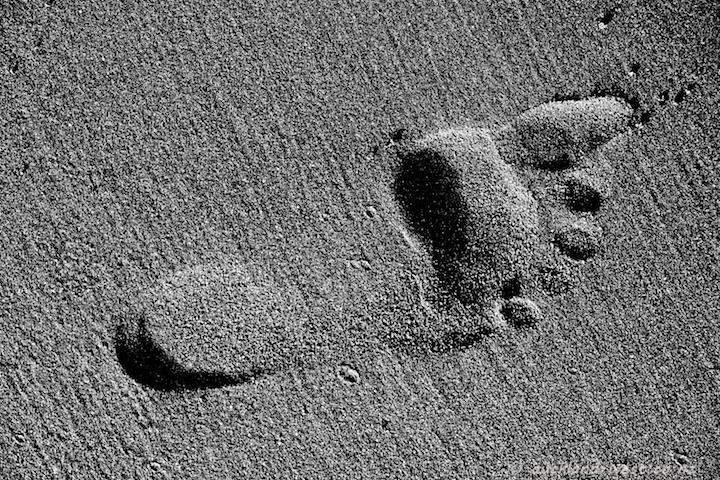 After a fine weekend day at Piha beach, there are lots of footprints in the sand. The long toe in the picture below caught my attention, as we seemed to follow the tracks of this person. The image above is a completely different shape and walking or running style, and the difference in the direction of the light makes the two images quite different. That is a long toe. Some people have long big toes and others short. Mine are short. I really like the lower photo. That must be really good, firm sand. 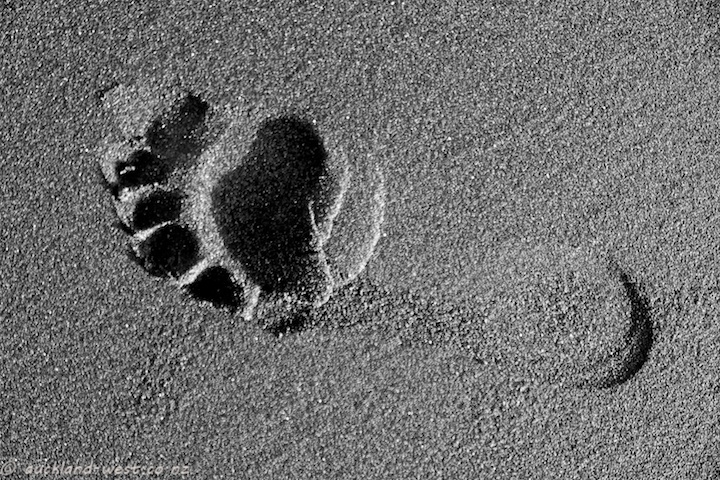 I love the second one especially – the diagonal lines of the sand and the odd looking footprint. It almost does not look real.